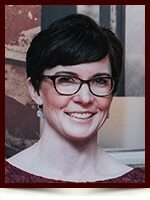 Erin Loretta James (nee Keating) - Edmonton's Burial & Cremation Professionals | Trinity Funeral Home Ltd. Surrounded by her loving family Erin James of Edmonton passed away suddenly on February 24, 2017 at the age of 34 years. Erin was loved by every life she touched. She was loyal, kind, compassionate and genuine. She will be lovingly and forever remembered by her husband Robb and her greatest gift, her daughter Juliet; her parents Michael and Jennifer Keating; two sisters: Sue Monson and Liane (Matt) Carter; her Grandmother Norma Keating; her father and mother in-law, Rick and Wendy James; Sister in-law Jesse (Matt) Bell; Brother in-law; David James ( Andrea Pelland ); four nieces, and one nephew; as well as numerous relatives and countless friends. Erin was predeceased by her Grandfather Austin Keating; Grandfather Phil Beldam; and Grandmother Paula Beldam. Erin graduated from Bellerose Composite High School’s International Baccalaureate Program in 2000. She went on to earn a Bachelor of Arts Degree from the University of Alberta in 2004, followed by a diploma in Public Relations from Grant MacEwan College in 2006. Most recently, Erin was pursuing a certification in human resources through the University of Alberta’s Faculty of Extension. A celebration of Erin’s life will take place on Friday, March 10, 2017 from 11:00 – 2:00 at the Double Tree by Hilton,West Edmonton, 16615-109 Ave. Without question Erin was one of the kindest, great-spirited people, that Amanda and I have ever met. Our most sincere condolences. We will forever miss hearing her laughter from our side of the fence. Thinking of you and wishing you courage to face the days ahead. Cherish the wonderful memories Erin has left behind. times. Our love to the family. We were all so sorry to learn of Erin’s passing. We have very fond memories of your family from our children attending school together in St. Albert and from our “Erins” playing soccer together! We can’t imagine the pain that you are feeling but please know that we are thinking about you. We wish to pass on our sincere condolences and let you know our thoughts and prayers are with them in these difficult times. My thoughts go out to Erin’s family during this difficult time. Erin was a breath of fresh air and lovely to work with and a wonderful friend. She will be greatly missed. My sincere condolences to Erin’s family during this very difficult time. Erin and I attended Grant Mac Ewan together, and she was one of the sweetest people I have met. I am deeply saddened that she was taken so soon. Sending prayers! So very sorry to hear of your loss. I can’t imagine the pain and sorrow you are going through. My condolences. I knew Erin while working at Stantec. Her and I made a couple of road trips together, and always knew how to laugh and have fun while we worked. She was like a little sister to me. I admired her intelligence, her positive presence and her innocence. Such a beautiful person – inside and out. What a terrible loss. I will enjoy and savour my memories. Nothing can take that away. My thoughts and prayers to all those people who loved Erin so dearly. Erin and I took a community based yoga class together every Monday night for the last couple of years. I am in complete shock to learn of her passing. She was a very sweet lady, who absolutely glowed when talking about her family, especially her daughter. My thoughts are with her family in this difficult time. May she rest in peace. I am so sorry to hear of your loss of Erin. My prayers are with you and your family. That is a gift that lives forever, wishing you much love, hope, and peace. We all send our love to the whole family and we will cherish beautiful the memories we have of your Erin. I am so sad to hear this. I loved working with Erin at Stantec. We used to tease her about how nice she was, because she really was the kindest person you can imagine. She was also witty and fun and excellent at her job. She was my cube neighbour and I looked forward to see her every day. We are very saddened to hear about Erin. May your hearts be filled with many precious memories To help you through the days ahead . We are deeply saddened by this news. Your family is in our thoughts and prayers. I am shocked and saddened to read of Erin’s passing! I have very fond memories of working with Erin and Susan in music lessons and a recording years ago, in particular her adorable ‘Disney voice’. Condolences to all! So sorry for your loss Robb, my deepest sympathies to you and all family. I am so saddened and shocked to hear this. I had the privilege of having Erin join our professional communications team at Stantec a decade ago – I’m sure everyone on that team (now disbanded) will be very sad to hear of this loss. My heart felt condolences to Rob, to Erin’s family, and to everyone who loved her. We are so sorry to hear of your loss. Our thoughts and prayers are with you. The time Erin was in my life was short, but I am so happy to have had even that short time. She was an inspiration to me to live life to the fullest. Her love for her family especially her little light Juliet was always evident. May you hold your memories close to help you through this difficult time. I am so sorry Robb to have learned the passing of Erin. My thoughts & prayers are with you Juliet & the whole family. Saddened to hear of Erin’s passing. She was a wonderful person. I am so saddened to hear of your loss Robb, Juliet and family. My thoughts and prayers are with you during this difficult time. I am so sorry to hear of your heartbreaking loss. My heart goes out to your entire family. We are so sorry to learn of this tragic event. Our hearts go out to all of you with deepest condolences. I had the pleasure working with Erin at Stantec. She was right out of school, young, determined, hard working with a bright future ahead. We celebrated her engagement and wedding as a team. I cannot belive this bright light has been dimmed so early. My deepest condolences to the family and baby girl. As Angus’ sister-in-law, I have heard so much about how bravely your family has supported Erin throughout her health challenges, and through her tragic last days. I have also heard about what a courageous young woman Erin was. Our hearts break to know that she is gone from you. This must be so hard for you all. You are in our thoughts and we pray that you are surrounded by loving caring people. Difficult to understand a tragedy like this. Erin was a wonderful person, who was raised so well and surrounded by such a terrific family. In my heart, I believe she’s in a better place. So sorry for your loss. Robb and family, we are gutted to learn this tragic news. Our thoughts and prayers are with you all right now and hope for the best in days and weeks to come. My sincerest condolences on your loss. Erin was a strong and compassionate individual who embraced life with a smile. Her positive approach to life will remain in my memories. Please accept our deepest condolences with the passing of Eric. We are so deeply saddened to hear of her sudden passing. She was a very lovely person who will truly be missed. I taught Erin in elementary school and have fond memories of a happy, freckled little sprite. I am so sorry that you have lost such a special soul. My thoughts are with you all. Erin was such a fun, happy person. I will always remember the time our families spent together when we were growing up. My thoughts and prayers are with you. So sorry for your loss. So sorry to hear about the passing of such a thoroughly sweet and lovely young woman. I enjoyed working with Erin and will remember her smile and her laughter. To Juliet: your mom was proud of you and told many stories of the funny and cute things you did. May God comfort you all as you grieve. We are very saddened to read of the untimely passing of Erin. We sent our condolences to Robb and the entire family. You are all in our thoughts at this very sad time. My sincerest condolences to you all! My heart and thoughts go out to you in this difficult time! Deepest Sympathy for your loss. May happy memories bring some comfort. Erin was a fanastic person who will be forever missed. It was a great experience working with Erin last year. Her professionalism, her calm, composed nature and pleasant smile will always be remembered. Deepest condolences to all the family, may the good Lord give you all the strength in this difficult time, my prayers are with you. Erin and I went to Grant Macewan together, and I will always remember her smile and love for life. I am so terribly saddened to hear of Erin’s passing. My thoughts and prayers to her husband, Robb and her treasured daughter, Juliet. It was my pleasure to have had Erin pass through my life. And although my relationship with her was primarily as a collegue, I absolutely thought of Erin as my friend. Her commitment to our team was something I could always count on. My thoughts are with you as you grieve the loss of a wonderful person. Erin’s impact in my life won’t be forgotten. Erin was a very valued member of our team at the Alberta Public Service Commission. She will be greatly missed by all of us. Our thoughts and prayers are with your family. We will love you forever sweet sister. Sincere condolences. May your happy memories give you strength during this difficult time. We are thinking of you and your family and feel very fortunate to have met Erin. Many hugs from your friends in Nova Scotia. I am so sorry to hear about your loss Sue, Leanne and family. My heart just breaks for your family. Erin was such an amazing lady and such a kind soul, she will be truly missed. So sorry for your loss. Condolences from my family to yours. In the short time I knew Erin at the Government of Alberta, I was always impressed by her determination and drive. She will be missed. My heartfelt condolences to family and friends. I had the pleasure of working with Erin on a few small projects, and though our contacts were brief and few she left an impression on me of her gentle kindness and professional excellence. I hold her memory dear and I offer my most heartfelt condolences to her family.